Modern family dynamics, the number of people in older generations and the sheer economics of care combine to create a large force of family caregivers in the United States. In fact, about 34 million Americans provide unpaid care to an adult who is 50 or older, the AARP estimates. The National Alliance of Caregivers reports that around 67 percent of caregivers are women and that half of the adults caring for a family member also have a full-time job. But caregivers across the nation come in all genders and from very disparate backgrounds, which means they deal with a number of different challenges, ranging from socioeconomic issues to emotional, mental and physical ones. Even with the diversity of caregivers and their related situations, some common themes develop. 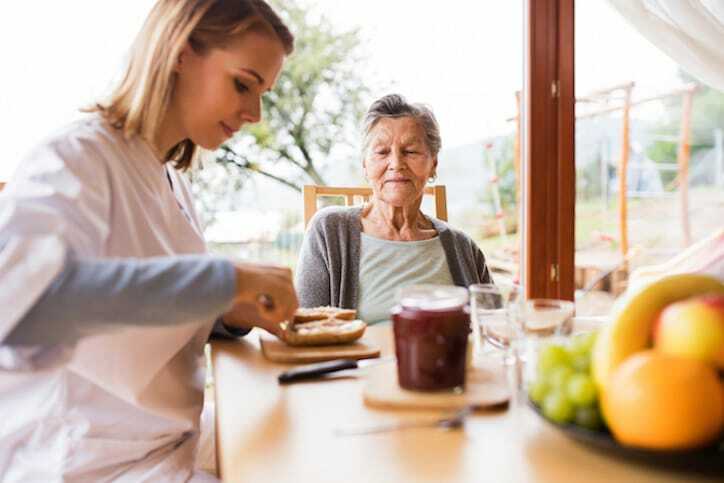 This guide is designed to provide an overview of what it means to be a family caregiver as well as some information about overcoming common challenges. If you’re not yet a caregiver or are just stepping into the shoes, you might be surprised to learn how much effort, money and energy goes into the process. Here’s a look at some facts that help paint a picture of what being a caregiver is really like. 44 percent of caregivers spend $5,000 or more of their own money annually in the endeavor; around a quarter spend at least double that. And more than half of all caregivers rely on family funds to cover the costs of providing care for a loved one. 40 percent also report spending 30 or more hours a week on caregiving, making it a full-time job. On average, caregivers spend around 21 hours per week providing care to someone else. Around 90 percent of caregivers don’t receive compensation for their efforts. Common expenses caregivers cover include food, clothing, transportation, medication, legal services and travel. More than two-thirds of individuals said caregiving had a negative impact on their career, and almost 80 percent said they missed work during the year to meet caregiving obligations. In some cases, individuals fall into family caregiver situations without making a conscious decision beforehand. They may start by offering little bits of help that become more frequently needed or moving a loved one into the home for a temporary need that becomes permanent. In other cases, it’s a very conscious decision that a family makes together, even singling out a certain person to take on the bulk of the caregiving duties. However you come into the arrangement, it’s important to realize that it is an arrangement. While you may be offering care out of love or obligation, ensuring everyone is on the same page with certain specifics and understanding the nature of this new relationship is critical to long-term success. Some older adults are able to pay a family from private funds, long-term care insurance benefits or a state-sponsored assistance program. This can make it easier for the caregiver to spend more time providing care services. A written personal care agreement can help both you and your family member be clear about what you’re supposed to be doing and when. It can also help avoid misunderstandings with other family members about who’s providing care and how much money is changing hands. If the person you’re caring for is receiving state assistance for in-home care, an agreement can prove to the state exactly where some of the money is going. And if nursing home services are ever required using Medicaid for funding, the agreement can show that these payments were not an attempt to “hide” funds in order to qualify for Medicaid’s services. Activities of daily living are basic self-care tasks. They include feeding, toileting, selecting proper attire, grooming, maintaining continence, putting on clothes, bathing, walking and transferring (such as moving from bed to wheelchair). Both ADLs and IADLs may become a struggle for older or chronically ill adults, and these are areas where caregivers typically step in to provide assistance. Effective communication is essential to every relationship — particularly a caregiving situation. Often, it is not what you say, but how you say it that determines how your message is received. Here are some suggestions for improving your conversations with your elderly loved one. 1. RESPECT them by treating them as your equals. Ask for, and value, their opinions. 3. THINK before responding. Don’t speak when you’re angry or upset. Take time to rehearse before starting a potentially difficult conversation. 4. DEVELOP an appropriate speaking style and body language. How you speak is just as important as what you say. Maintain eye contact. Enunciate clearly. Be positive and brief. 5. SET boundaries. You can refuse requests without rejecting your loved one. 6. PRAISE. Show appreciation for your loved one, and let them know you realize that they tried to do the best they could. Praise them often and publicly. While every situation is unique, family caregiving comes with some common challenges. You, as the caregiver, are likely to face issues such as stress, dealing with difficult loved ones, adjusting to your new role or living with a loved one or the time requirements that come with coordinating another person’s care. This section will delve further into a variety of common caregiving challenges and provide tips for dealing with them. Having physical privacy means having boundaries that let everyone in the house get away from 24/7 interactions. This is especially challenging in small living spaces or when the live-in elder has dementia. Make necessary home improvements to allow the live-in elder to have his or her own space for sleeping and living. Establishing household rules everyone agrees on for the use of the TV, kitchen and other possible points of conflict. Keep in mind that in the case of dementia, rules become less realistic as the disease progresses. Remain conscious of maintaining one-on-one time with other family members. Don’t put vacations, school or sports events or other previous family activities on indefinite hold. A live-in elder’s sleep-wake cycle can get mixed up. This disrupts the sleep of the caregiver, who’s already burning the candle at both ends to manage everyone’s needs. This lack of sleep then impacts the caregiver’s mental and physical health. Resolving sleep problems is important for both your loved one and you. Start with the below steps toward a better night’s sleep for both of you. Make sure your loved one’s basic sleep hygiene is in order. No stimulating beverages or activity late in the day. A quiet, dark room. Proper clothing for sleep. No TV or electronics used in the bedroom at night. Use of a proper, comfortable bed, not a lounge chair. Next, make sure your own sleep habits are similarly healthy. Run a medication review with a doctor to make sure no meds are interfering with sleep. If you’ve done everything you can to create a healthy sleep environment, discuss sleep issues with your loved one’s doctor. A mixed-up sleep-wake cycle is not a normal part of aging. It is a feature of dementia, but it can often be remedied by a good household routine and by addressing the person’s fears to reduce anxiety. 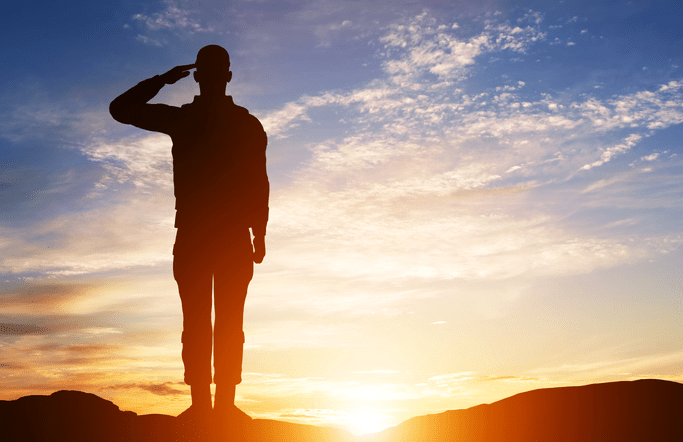 Caregivers often fall into lone-soldier mode without even realizing it. This is often found in male caregivers who feel less certain about how to provide care and feel more frustrated about lifestyle restrictions. Let go of old ideas that asking for help is a sign of weakness. Discuss with your doctor your own needs, reach out to a spiritual leader, minister and read books. Join a caregiver support group. To find a group, ask your doctor or your local Area Agency on Aging, or try an online group. See a counselor if you’re experiencing signs of depression. Arrange monthly or, ideally, weekly respite breaks. Go to lunch with a friend. Create contingency plans. Once a week, devote an hour to focusing on “if this, then this” scenarios. Make lists of your options or of places and people you can contact to solve potential problems common to your situation. Learn as much as you can about your loved one’s condition(s) and how it/they typically progress. If your loved one has dementia, understand the various stages, where your loved one likely is and what to do next. Perhaps the most difficult home-care deal-breakers are practical matters that go beyond the caregiver’s ability to manage. Chief among these: incontinence, heavy lifting and wandering behaviors in someone with dementia. The below tips can help you navigate this common caregiving hurdle. Be sure there’s been a thorough physical exam to see if a problem, such as incontinence, is fixable. For behavioral issues such as wandering, learn the basic ways to address the problem (for example: floor alarms, locks, reducing anxiety). Explore whether bringing in more help, such as personal care assistants or nurse aides, can help. Make sure you’re not trying to solve the problem alone. If you’ve explored every option and things still aren’t working, ask yourself if you’re resisting out-of-home placement because of guilt. No one would choose a smiley face as the perfect symbolic emoticon for a caregiver. Caregiving for an ailing loved one is stressful — often triggering damaging emotions that can undermine your good work and harm your health. Understanding these emotions and how to deal with them can help. Caregiver guilt is an especially corrosive emotion because you’re beating yourself up over faults that are imagined, unavoidable or simply human. That’s counterproductive at a time when you need to be your own best advocate. Lower your standards from ideal to real. Above all, recognize that caregiver guilt is virtually unavoidable. Because your intentions are good but your time, resources and skills are limited, you’re just plain going to feel guilty sometimes, so try to get comfortable with that gap between perfection and reality instead of beating yourself up over it. Caregivers often feel put-upon and upset because of imagined slights by others, including siblings and adult children who don’t do enough to help. Caregiver resentment is especially felt toward the person being cared for, when the caregiver’s life feels hijacked by responsibility and out of his or her own control. Simply naming this tricky emotion to a trusted confidante can bring some release. Try venting to a journal or anonymous blog. 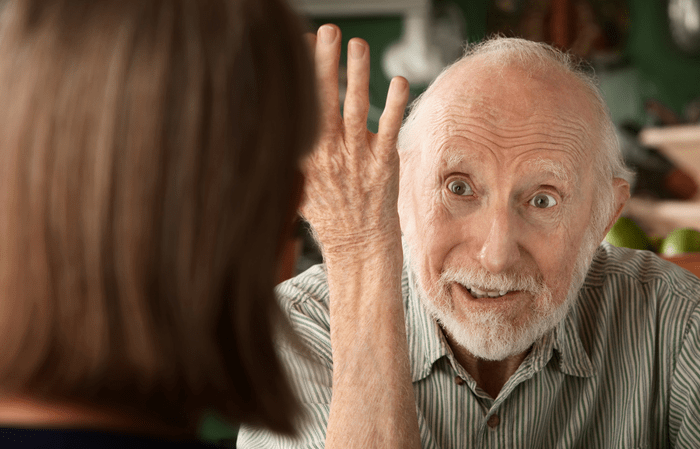 Know that resentment is a very natural and common response to long-term caregiving, and you can feel this emotion and still be a good person and a good caregiver. Chronic anger and hostility have been linked to high blood pressure, heart attack and heart disease, digestive-tract disorders and headaches. Anger that builds up unexpressed can lead to depression or anxiety, while anger that explodes outward can jeopardize relationships and even harm others. Managing caregiver anger helps your well-being and makes you less likely to take out your fury on your loved one. Rather than trying to avoid anger, learn to express it in healthy ways. Simple deep-breathing exercises can channel mounting anger into a calmer state. Ask yourself if there’s a constructive solution to situations that make you angry: Is a compromise possible? Being concerned is harmless. Overworry and obsessing, however, can disrupt sleep, cause headaches and stomach upset and lead to mindless eating or undereating. If you notice worrying thoughts interfering with getting through the day or sleeping at night, break the cycle. Try setting a timer and resolving to focus on something else when the five minutes is up. Then flip negative thoughts to their productive side: How can you help? Who can you call? Are there possible solutions? And don’t be shy about seeking out a trained counselor to help. Friends may back away out of uncertainty or a belief they aren’t wanted. Intense time demands lead you to drop out of outside activities. If you’re dealing with dementia, the loss of your loved one’s former level of companionship is another keenly felt social loss. Expand your social circles, real and virtual. Arrange respite help, so you can add at least one outside activity back to your schedule. Take the initiative to reach out to old friends and invite them over if you can’t get out easily. Consider joining a support group related to caregiving or your loved one’s illness. In online support groups, you can find kinship with those who know just what you’re going through. Anticipatory grief is an emotion felt by caregivers who are coping with a loved one’s long-term chronic illness, especially when there are clear losses of ability (as in dementia) or when the diagnosis is almost certainly terminal. Know that your feelings are normal and as painful as other types of grief. Allow yourself to feel sadness and express it to your loved one and supportive others; pasting on a happy face belies the truth and can be frustrating to the person who knows he or she is ill or dying. When you’re doing so much, it’s only natural to bristle at suggestions that there might be different or better approaches. While nobody knows your loved one and your situation as well as you do, being overly defensive can make you closed-minded. You risk losing out on real help. Try not to take everything you hear personally. Instead of immediately getting cross or discarding others’ input, vow to pause long enough to consider it. Remember the big picture. Is there merit in a new idea? If you start from a point of calm and confidence, the focus becomes (as it should be) your loved one, not you. Being a caregiver is never easy, but if you’ve spent much of your adult life just trying to get along with an older adult, being thrust into the role of his caregiver may be excruciating. Difficult people come in all varieties, from self-absorbed and demanding to angry and remote. Caregiving situations vary widely, too. Your experience will be different depending on whether you’re providing daily care, supplying occasional care or coordinating care from a distance. No single approach will address every dilemma, but the following tips should make caring for the person a little easier. Take time to prepare yourself. Faced with a crisis, it’s tempting to make decisions quickly without thinking them through. If you have a difficult relationship with your parent or someone else you’re caring for, the pressure is even more intense, and every decision is fraught. Try to spend some quiet time before you jump onto the caregiving roller coaster. Line up support. It’s important to have buffers so you won’t be standing on the front line all by yourself. Bring in the experts. If you don’t have family support, you live far from the person you’re caring for, your relationship is explosive or his situation is complicated, consider hiring a geriatric care manager. Consider your own role. As you enter this new stage in your relationship with the person you’re caring for, it’s important to remember that you can’t control how he acts — but you can control how you respond. Take time to honestly consider your own role in the conflicts you’ve had in the past and think about how you can handle things differently. Talk it through. Try addressing situations directly as soon as problems arise. Try something different. If your interactions are uniformly negative, think about how to change the dynamic. Are there less stressful ways that you can spend time together? Set boundaries. It’s important for anyone in a caregiving position to set and maintain solid boundaries, but this is especially true if you have a difficult relationship. If you’re clear about how much you’re able and willing to do and stick to that, you’ll be less susceptible to guilt trips and manipulative behavior. You can also set limits for how much emotional abuse you’ll put up with; if he won’t stop criticizing, maybe it’s time to go make yourself a cup of tea. Take care of yourself. If you’re spending a great deal of time with the person you’re caring for, make sure that you’re doing things to replenish yourself. 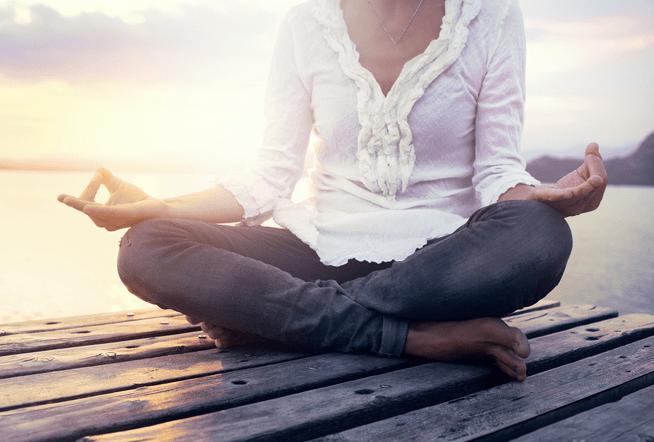 This will help you stay balanced and less reactive. Maintain a regular exercise regime to blow off steam, and arrange for regular weekends off and vacation time if you can. Some people find that being in nature or meditating helps them maintain their perspective. If the person you’re caring for is able and willing, try seeing a counselor together. She can help you communicate more effectively and change some of the patterns that have poisoned your relationship. If you’ve tried everything and your interactions are uniformly unpleasant or worse, it’s time to consider other alternatives. Talk to family members or close friends and see if you can find ways to minimize your contact with the person. Offer to take on caregiving jobs that don’t require much interaction, such as paying bills or dropping off meals. With patience and lots of luck, you may be able to make a breakthrough in your relationship with the person you’re caring for. But it’s important to keep your expectations relatively low and to be willing to practice a little acceptance when things get rough. Be open to a new relationship. You may find that being a caregiver is different from being that person’s child or niece. No matter how flawed he is, in the end he’s still someone you’re connected with, and he needs your help. There’s so much ink these days, including a recent New York Times article, on reluctant caregivers. Many feel trapped into taking care of a loved one they don’t like or want to help, but they grudgingly do so anyway, despite the lack of emotional reward that can come from dutifully assisting. But what about reluctant caregivees? With so much focus on giving care, how do family and professional caregivers overcome the obstacles of helping those in need who are not happy and grateful about it? Very few of us like the idea that we must rely on another person for basic needs. Independence and control are hallmarks of our personalities, so it’s important to think about why a caregivee is resisting your efforts. Reactions such as anger and denial can make us feel more powerful, and they can be triggered by anxiety and fear of losing control. Unless a caregivee is in or causing danger, accept that you may not be able to change a person who doesn’t want your aid. Adopting this attitude will help you be more objective and focused and less emotional. “You may not be able to get your care recipient to do exactly what you want, so accept small victories,” says Vitaliano. “Caregiving is a two-way street,” says Jennifer Tucker, vice president of Homewatch CareGivers, a company that provides homecare to people of all ages. She believes that a caregiver — whether a family member or professional — enters into a care partnership with the caregivee, who can and should have a say, to the degree possible, in all of the decisions around her care. She suggests that caregivers avoid using words like “help” and that they remember to listen. It’s also helpful to consider the different types of caregivees and how best to approach each one. Here are specific suggestions for managing your “two-way street” with these four common types of reluctant care recipients. If you’re too close to the caregivee, it might be better to have a doctor, religious figure or even a friend share the information. The important thing is that it’s delivered compassionately and that the care recipient hears it. Someone who offers help threatens the caregivee’s denial. Not everyone is ready to hear a message on their timeline; in fact, it might make the denier more miserable right now to acknowledge the situation. It’s as simple as that. “When you’re dealing with a denier, you may feel like it’s up to you to force conversations once you see warning signs, rather than waiting for something bad to happen,” says Tucker. But how and when you say something is often as important as what you say. The Homewatch CareGivers’ _Let’s Talk_guide warns against a “winning the argument” mentality and suggests being flexible when it comes to discussions about care — either in the present or future. “All of us engage in denial in one way or another,” says UW-Madison’s Robbins. “To some extent, we all see what we want to see.” Robbins suggests keeping lines of communication open so that a care recipient doesn’t feel shamed if and when he recognizes that he needs help and finally comes to you. It’s not good to push caregivees to discuss their feelings. But you can make sure they know you understand how hard it is to give up control. Sometimes just talking helps. By expressing their feelings, caregivees might be more appreciative. You can also express yourself. 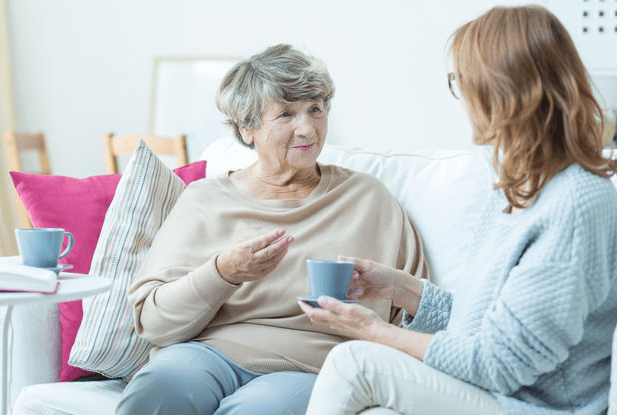 “A caregiver can let the caregivee know how much they appreciate their insight and wisdom in an attempt to make the giving and receiving go both ways,” says Tucker. You can show empathy by telling the care recipient that you’re sorry you’re making some decisions for him or her. But don’t expect an instantaneous outpouring of thanks. Dementia and loss of memory are terrifying. I see firsthand how fears of these two scare my 85-year-old mom, who watched her mother and sister suffer from sad, debilitating cognitive decline. How can you manage your own sanity when you’re caring for a reluctant caregivee who is angry, unhappy or ungrateful? Start with the steps below. Make sure you have a support system. Exercise, take breaks and do things you enjoy. It’s just common sense, but it’s easy to forget. You have to take care of yourself to effectively help anyone else. Stay cognizant of your physical and mental health. 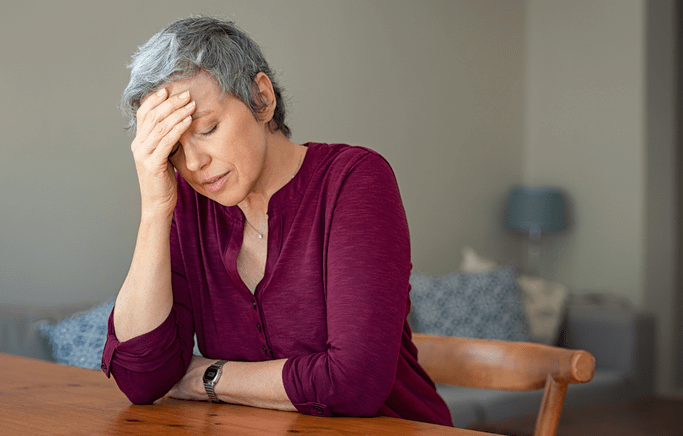 “If a caregiver is vulnerable to problems in response to stress (such as having a family history of depression, anxiety or trauma), this can greatly exacerbate the situation,” says University of Washington’s Vitaliano. Caregivers are at great risk for depression and are more likely to lapse into poor health habits (such as an unhealthy diet or lack of exercise). Remember that caregiving is a noble human virtue. It shouldn’t surprise anyone that sensitive family dynamics can be one of the most challenging aspects of caregiving for an elder, given the tremendous financial, physical and emotional demands involved. This doesn’t mean that family squabbles are inevitable. In fact, if managed well, the experience of caring for an older family member has the potential to bring relatives closer as you help this person through this final stage of life. 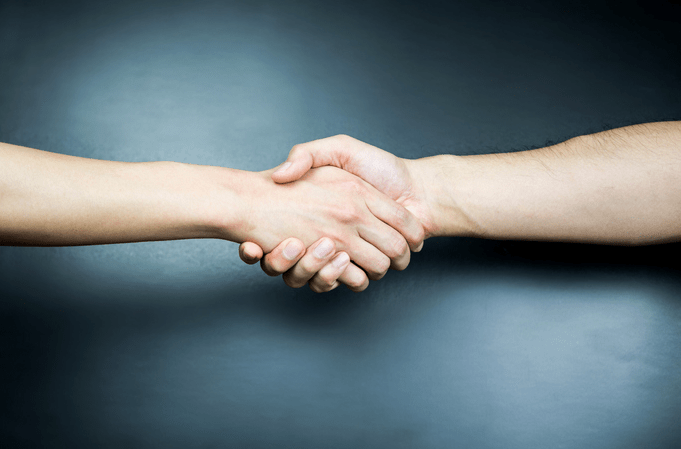 Here’s how to avoid conflicts with family members and work through them when they occur. Typically, disagreements arise due to one of the following situations. Mature adults often find that they’re back in the sandbox when their family gets together. This tendency can grow even more pronou nced under the strain of caregiving. If your sister was the favored child, for example, you may find that — no matter how successful and capable you are now — in your parents’ or relatives’ home you become a jealous, powerless little girl again. It’s common for family members to have very different ideas about what’s wrong with a loved one and what should be done about it. You may be convinced that your family member is no longer capable of driving, while your brothers argue that he needs to maintain his independence. How to pay for a family member’s care is often a huge cause of tension. Financial concerns can influence decisions about where the person should live, whether or not a particular medical intervention is needed and whether he can afford a housekeeper. These conflicts are often fueled by ongoing resentment over income disparities and perceived inequities in the distribution of the family estate. Experts say the most common source of discord among family members occurs when the burden of caring for an elder isn’t distributed equally. “Usually one of the adult children in the family takes on most of the caregiving tasks,” says Donna Schempp, program director at the Family Caregivers Alliance, a national nonprofit organization that provides information and support to caregivers. The primary caregiver might assume this role because he lives near the family member, is perceived to have the fewest obligations or has the closest relationship with the person. Whatever the reasons, the situation is likely to make him resentful. The following steps can help you recognize and avoid some of these common land mines, so you can keep the focus where it belongs — on your family member’s care. As soon as the person begins to have health problems, initiate regular family meetings with your siblings and other family members who will be involved in her care. The goal is to share information and make decisions as a group; the meetings can also be a source of support and provide a forum for resolving disagreements. If all or some of you live in different parts of the country, the meetings can be held by conference call. There are now many free conference call services available, such as Skype, FreeConferenceCall.com or UberConference. Set a regular time for the family meetings that’s convenient for everyone involved — it could be once a month, or whatever suits your family — and if you can, do so before a crisis occurs, so this tool will be in place when you really need it. If possible, reserve a little time at the end of the meeting or conference call to chat and catch up. 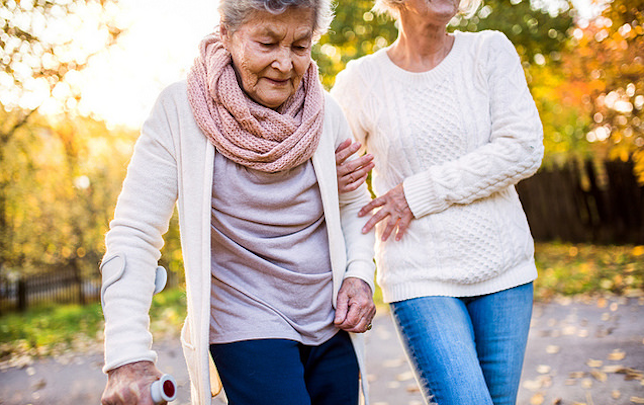 Rather than insist that all of the caregiving tasks be divided equally, consider a division of labor that takes into account each family member’s interests and skills as well as their availability. Your sister may find it difficult to get away during the day to take your family member to his doctor’s appointments, but perhaps she can handle his finances or take the lead in finding an appropriate long-term care situation. A far-flung sibling won’t be able to help with day-to-day care but may be able to come for a visit every few months to give you a break. A fair division of labor can mitigate resentment and make caregiving more efficient. The family meeting is an excellent venue for setting up a caregiving schedule and dividing up tasks. Most families have taboo subjects that everyone avoids. Sometimes the topic is a sensitive one, like a drinking problem or a family tragedy, but often family members avoid speaking up because they are afraid of hurting feelings — or simply because openness has never been part of the family culture. If you feel you’re carrying too much of the burden, consider discussing it with siblings and other family members. They may not realize that you’re feeling overwhelmed — or even know how much you’re doing. In a calm, quiet moment — perhaps at the next family meeting — explain how you feel in a matter-of-fact, nonconfrontational way. Try to be concrete and specific when you ask for help. For example, ask your sister if she can take over the grocery shopping, or find out if your niece can regularly drive your family member to doctor’s appointments. It’s also important to communicate with other family members if you’re burned out and need a break. Likewise, if another sibling or family member is doing most of the caregiving, offer support and encourage her to express her frustrations and talk about what would make it easier for her. If you live far from your family member and other relatives are responsible for most of the care, be sure to offer support. Check in often to see how things are going and to offer whatever assistance you can. 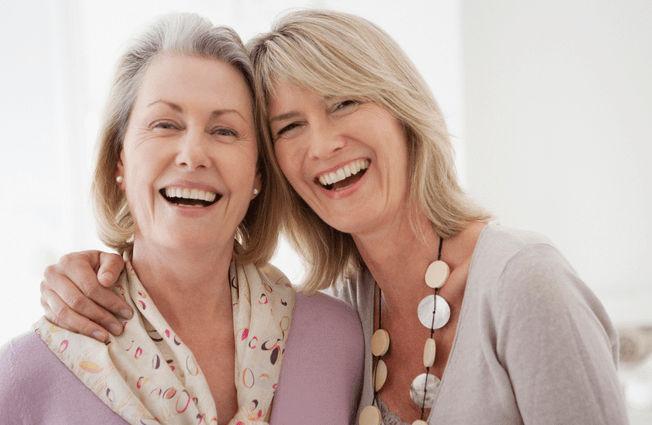 Ask about how the caregiver is doing and be a sounding board for frustrations and concerns. Be patient if the caregiver needs to vent. The National Caregivers Alliance advises relatives who live far away to let the caregivers know how much you appreciate what they do and to make sure that primary caregivers get regular breaks. Visit regularly and take over your family member’s care if you can, and if you can’t, find other ways to make sure primary caregivers get regular respite. Perhaps you can pay for some additional care or offer to hire a housecleaner for the caregivers. 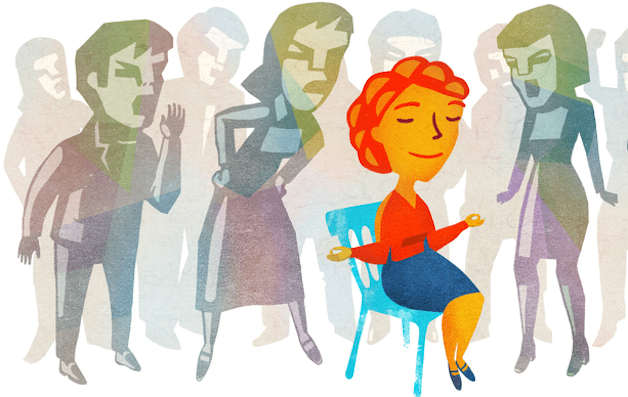 Seek mediation — especially if you hit trouble spots. Even if your family doesn’t have specific disagreements, you may want to see a counselor on an occasional basis because experts like Schempp can help you tap into options and resources that you may not be aware of. Many problems facing caregivers have no easy answers. Take, for example, your argument with your brothers about whether your dad can still drive. In a sense, you’re both right: He might well be too infirm to drive, but he needs his independence. An experienced counselor can help you work through dilemmas like this one and determine what’s best for your family member — and for you. To find a counselor, contact your local senior center or area agency on aging. If you find yourself in conflict with another family member when caring for an elderly relative, take a step back and get some perspective. Consider your own role in the conflict, and ask yourself if you’re acting out an old family role or resentment. It might help you to see a therapist for support and insight. Make sure that you’re taking care of yourself by getting regular sleep, nutritious meals and exercise. If you’re the primary caregiver, you also need to have regular breaks to avoid burnout. These steps won’t make the conflict disappear, but chances are they will help you manage and resolve it in a more honest, clear-headed way. For the growing number of employees who are also caregivers, work often gets more difficult. 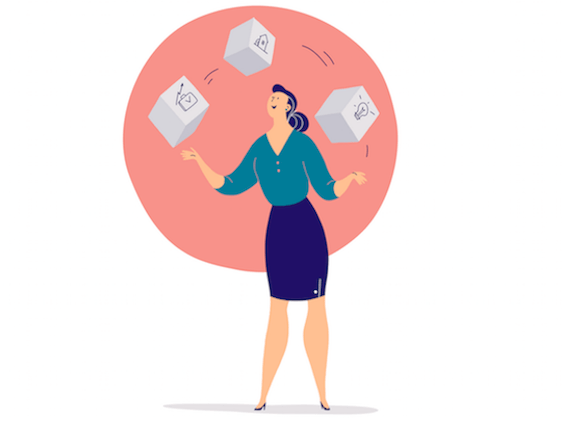 Here is a look at some of their challenges — along with practical advice about how to make the life/work balancing act more stable. The most sweeping federal law aimed at helping workers balance job and caregiving is the Family and Medical Leave Act, or FMLA, which allows employees up to 12 weeks of leave in a year to take care of a child, spouse or parent. Workers must also be able to return to the same or a similar position as they held before the leave. The leave has limitations. It applies only to workplaces with 50 or more employees and to workers on the job a year or more. The biggest drawback: The leave is unpaid. But most states, and a growing number of cities and municipalities, have also passed laws guaranteeing leave — most of them more liberal than the federal protections. Still, those laws vary wildly on important particulars, including the size of the workplace and types of workers covered, reasons for leave and whether it is paid. Some workplaces have also established their own leave policies. The various leave laws have created a patchwork of protections embroidered with loopholes and knotty exceptions confusing to employees and employers alike. As a worker interested in leave, your first best step is to do your own research to suss out your legal rights. Take some time to actually read that employee manual, talk with your union representative — and check with your state labor department; most have websites summarizing state and local rules, and many have advisors who will answer questions online or by phone. Workers traditionally stayed mum about their off-the-job caregiving duties, fearing their bosses might view them as distracted or disinterested in the job. But that’s changing. In a recent survey, more than three-fourths of those polled said their employers know about their situations. The transparency is a good thing — especially because if you’re like most people, caregiving will have some effect on your ability to concentrate and perform your job. “Caregivers don’t want peers to feel their situation will be additional burdens for others; and they limit the information to supervisors, only disclosing that they may have to miss work or leave early rather than having a thoughtful conversation about their caregiving responsibilities,” explains Dr. Zachary White, assistant professor at Queens University of Charlotte and creator of the Unprepared Caregiver website. White advises this lack of information gives supervisors little context on why a caregiver may be missing work, causing ambiguity for both supervisor and the caregiving employee. In fact, about 60 percent of those polled reported that their caregiving duties negatively affected their employment situations. About two-thirds said they experienced distractions related to caregiving while on the job, including phone calls and emails from their loved ones, other family members, medical and social workers — and emotional repercussions from all of it. A smaller percentage — 16 percent — said they were forced to miss a significant amount of work. Ask your employer for a confidential meeting so you can briefly explain your situation. Reassure that you remain willing and able to do your job but that you may also need some help and understanding while attending to caregiving demands. Emphasize the positive. Mention specific ways you can accommodate work, such as your dad’s dialysis site is now equipped with Wi-Fi so you can keep up with work email while there, or your mom will be starting at an adult care center three days a week. If your need for leave is part of the discussion, you will already have the firm foundation of having researched your legal rights in the matter — and you can steadfastly insist on them. It often takes both a financial and an emotional toll to work as both employee and caregiver. Contact the Area Agency on Agency for local leads on free and low-cost help with social visits, errands and light housekeeping. Also find out what financial help may be available. Karen Ballou, an employee at a government research facility, recently found herself strapped for time off, with no vacation or sick days to spare, when she needed to care for her ailing husband. Ballou became a beneficiary of her company’s Catastrophic Leave Program, in which the generosity of employees who have accrued vacation time can donate it to others. She lost only six days of pay during the three months she took off work to tend to her husband’s end of life. The idea of getting your workplace to change may unrealistic, but the truth is, something’s got to give, even in the most hidebound workplaces. The problem of balance is not going away, and it will become more pressing in time. Due to economic necessity, psychological need or sheer perversity, the average age of retirement has increased rather steadily since the mid-1990s. Many baby boomers now need care themselves — and there are fewer family caregivers to share the burden. Nearly half the workers in the recent Caring poll said they had to make changes to work schedules to accommodate their caregiving duties; 30 percent said they often arrived late or left early. While paid or unpaid leave can be a lifesaver and a jobsaver, there may need to be changes in job duties and work hours if caregiving is required for an extended time. Make clear to management that you want to work together on potential changes. Suggest some possible solutions: a job-sharing arrangement, perhaps with a coworker who also has caregiving duties; flexible scheduling; or company information sessions on local resources for caregivers. 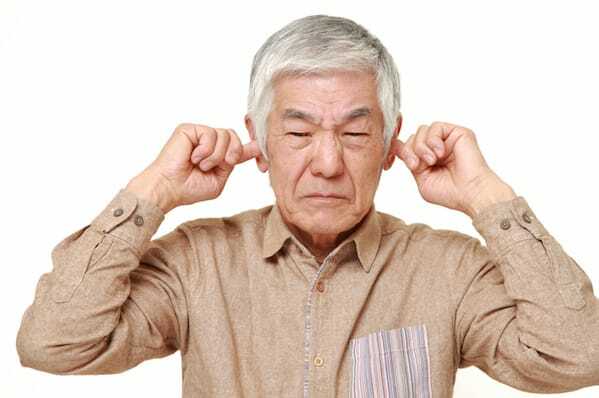 If your employer has a sympathetic ear but is stumped about how to help, you might recommend the toolkit Four Steps for Supporting Employees With Caregiving Responsibilities by the employer-focused coalition ReACT (Respect a Caregiver’s Time), AARP, and the National Alliance for Caregiving. A sizable number of workers recently polled — 15 percent — felt they may need to leave their jobs to attend to caregiving. That may not be a bad thing. Most workers experiencing the stress of juggling a job and caregiving also cop to some of its incredible rewards: a closer relationship with a loved one, pride in providing care and support and a new understanding of aging and dying. For many people, the profound experience of caregiving proves far more valuable than climbing the corporate ladder. The experience may prompt them to look more closely at a job and realize it is no longer a good fit. When their caregiving duties have ended, a growing number find it a gift that keeps giving. They use the experience to shift gears in their careers, becoming geriatricians, home care aides, geriatric care managers and volunteers in the burgeoning sector of health care jobs. Caregiving is not a job anyone should step into lightly, but it’s becoming an increasing role for people across the nation. And it doesn’t have to be a completely negative experience. If you’re not sure where to start or if you’re struggling with your current situation, reach out to online and local resources for education, help and compassion. 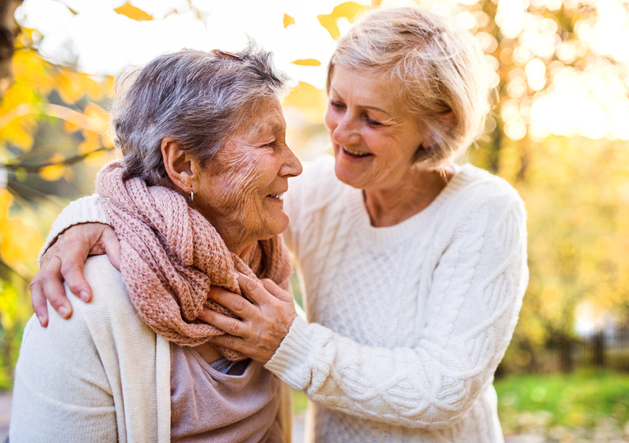 If you could use some reminders about the positive sides of this often-challenging role, consider these 10 rewarding (and sometimes surprising) aspects of caregiving. When the veils are ripped back, we often see how the happy, shiny people in Facebook photos — the ones who always seem to take fabulous trips and attend rip-roaring parties — aren’t always so blissful, especially if they lack purpose. While they may not make us giddy with delight, our contributions to another person’s well-being have undeniable and long-lasting positive effects for us. “Many caregivers feel a sense of satisfaction and purpose knowing they are helping to keep a person they love safe and well cared for,” says Erica Solway, PhD, co-associate director of the University of Michigan’s National Poll on Healthy Aging. In that way, service to others doesn’t diminish your life; it enriches it. Many of us race through our days, working, commuting, taking care of our business — all of which is important, but the demands of daily living can keep us from taking the time to see other people fully. We can connect to a million material things from cars to cell phones yet feel disconnected from those around us. “While I don’t want to sugarcoat the challenges with being a caregiver, some caregivers appreciate that this can be an opportunity to give back to their loved one, for example a child who wants to care for their parent,” says Sean Coffey, who’s written about caregiving challenges and rewards and is a former policy specialist with the Family Caregiver Alliance. What if you never got along with your parent, or something happened in your relationship and you’re still holding a grudge? Instead of considering your helping them as biting the bullet with no redeeming benefit for you, consider how your caregiving might heal wounds for both of you. Caregiving offers a not-so-gentle reminder that life is short, and it’s important to focus on the things that are most meaningful to you. In fact, two out of three respondents to an Alzheimer’s Association survey reported that they felt like the experience gave them a better perspective on life in general. You often hear of families torn apart by caregiving struggles. But many also come together in times of duress. As you work together toward a common goal, you may find that the petty differences that once divided you pale in comparison to the needs of a parent or sick relative. In the Alzheimer’s Association survey, 35 percent of Alzheimer’s caregivers said their caregiving experience strengthened their relationships with other family members. Relationships between spouses and partners were strengthened the most from the experience, with 81 percent believing that “being emotionally there for each other” was a source of strength they drew upon for caregiving. Feeling in control is a double-edged sword. You can feel like the captain of your ship, but when you hit rough waters, if you still think you’re somehow in charge, you’ll feel undue tension and stress. But it turns out that those rough waters carry a powerful lesson if you’re open to it. There’s something about daily living that can keep us from having direct and powerful conversations. If things are OK, we don’t want to rock the boat. But once you’ve confronted the life and death issues that are often a part of caregiving, you’re less afraid to have those tough talks. Dr. Robbins agrees. “This is a chance to model altruism for your family, and hope this isn’t a demo of what you will need some day from them,” he says. But if you do end up needing care yourself, you’ve shown your family how to do it well. Science backs this up. The University of Michigan National Poll on Healthy Aging’s report on dementia caregiving from November 2017 found that as caregivers experience the realities of daily life for a person living with dementia, caregivers may be better prepared than others to consider and plan for their own wishes as they age. Diane Sancho, a Mt. Pleasant resident, holds a Master of Social Work degree with specialization in Geriatrics. With over 30 years of experience in the senior health care field, Sancho has devoted her life to teaching caregivers to understand how important it is to care for themselves while they take care of others. Her expertise and dedication to assist family caregivers of those with dementia and aging was the motivation in creating Alice’s Clubhouse Memory Care Day Center. Prior to opening Alice’s Clubhouse, Sancho held administrative positions in adult day centers, home care and assisted living. In 2014 Sancho published “Dementia and Caregiver Stress” in the medical journal Issues in Mental Health.